Lots of frost | Flickr - Photo Sharing! Enzaa ..., Ulf Bodin, BB Ramone, and 25 other people added this photo to their favorites. Ah, this is so beautiful! I would love to have this kind of winter again! 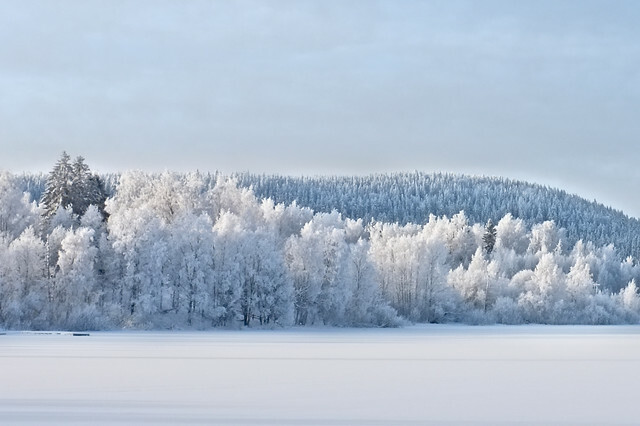 It is beautiful, Jonne, but it is very cold in Finland, I think! fantastic! winter at its most perfect! This is beautiful, but it looks extremely cold. Wonderful image Jonne. The front row of trees almost look infrared. Thank you, friends! We have had some quite cold (-32 C or so) days lately and the frost is really stunning. Richard: Yes, infrared is the right word. This is funny because I didn't catch that word last night when I was trying to describe Jenni how some of the trees look like. I suppose the hill is Puijo. Just wondering where is the tower?! Anyway, beautiful landscape. Nice photo. Aarno, nice to see you around! Puijo is in the opposite direction. That's why you don't see the tower. Another Fantastic Winter capture! (-8 Beautiful work! Wow, that is so beautiful! Love the composition and the blue tones. Hope we'll get some frost too soon.